For many local, small businesses it’s essential that you’re found when local people search for what you do. It doesn’t happen magically though. Search engines have no idea what your site is about or where you’re at unless you tell them. If you search for a term related to your business and city and you don’t see yourself on the first page of results, then that’s a missed opportunity. I’d like to help you change that. First it was called Google Local, then Google Places. Now, officially it’s called Google+ Local. Google has a serious interest in returning highly relevant local results and this is where it all starts. Mousing over the listing or clicking on the address will take you to a page with more information that is pulled from your GPL LIsting, and then finally, you can click on the More Info link to go to the detailed GPL page for the business. Long story short, if you are a local business, setup a Google account, claim your business listing on Google+ Local and Optimize it any way you can with valuable information, descriptions and pictures. The bottom line is that Google is using this information to tightly integrate local listings into their results. Yahoo and Bing have similar local services. Stop what you’re doing now and get it done. Beyond the major search engines, there are many valuable websites and services that you should be listed on. Using the coffee shop example above, you should setup a Yelp.com account as well as other sites that cater to the food and dining crowd. Consider optimizing your free listing on the various Yellow Pages sites like SuperPages.com or investigate options on popular sites like MerchantCircle.com. The world is complicated and vast at this second tier level and it can be time consuming and hard to figure out how everything is connected and the data distributed. 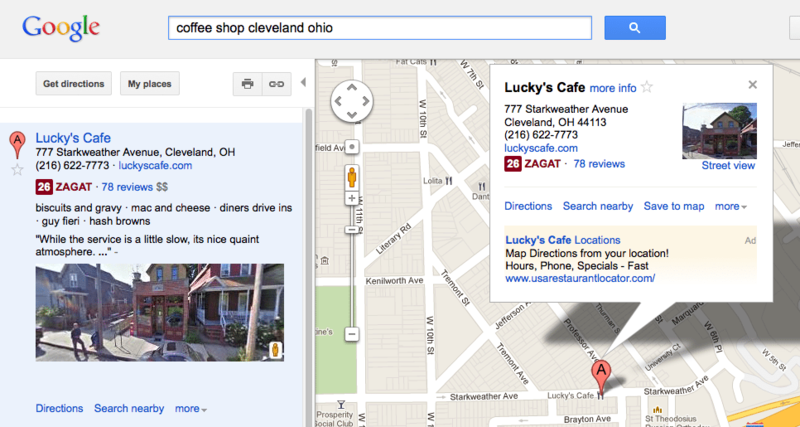 But once you’re listed it’s another way for your business to show up in local search results. It’s not so much that people will find you on the actual sites either, it’s that search engines will return listings from these sites directly within their results so it becomes a two click conversion over to your website. 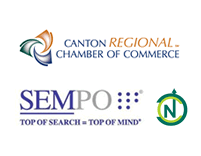 A local citation is when someone has mentioned or reviewed your business on a website. This is what Google calls “a signal” and they monitor all the popular sites. Many of these second tier websites provide users with the opportunity to review merchants and these reviews are major signals for Google. So why should you care? First, Google uses signals to fine tune their local results. It makes sense that a local coffee shop with 100 five star reviews would be a good choice to return in the local results vs. one that has 10 three star reviews. Long story short, encourage reviews on your site, in your store and within all channels that touch the consumer. It can make or break your presence and will definitely help you stand out and beat the competition. The world of social media can be complicated and time consuming. Start small and see what works. Don’t try and conquer the world at first. But social is an essential part of local internet marketing. Does your business offer services in various local niches? My favorite example is our local grocery store chain. They’re a grocery store so they’ll obviously provide fresh fruits, vegetables, meats and all the rest. But they also have a bakery, a pharmacy, a deli, organic products and a great seafood market. Each one of these is a separate niche that could be a stand-alone store. So why not position these services to the search engines as a separate business all together? The question is “why” and “how”. If someone is searching for something, Google wants to return highly relevant and useful results. This is their business in a nutshell. If they don’t help people find what they’re looking for, they’ll simply look somewhere else. This will likely mean using another search engine which could ultimately mean lost market share and lost revenue. So returning highly relevant results is important. You can help them return relevant results by building targeted landing pages. Landing pages are essentially pages on your site (other than the homepage) where people enter. Basically someone performs a search on a search engine and your landing page returns in the results because it’s targeted to their search query. Without these secondary pages, Google may not even realize that you’re site is even relevant for a user’s query. Using the grocery store example again, ideally we want to have a page on the site for pharmacy, bakery and organics — each being specifically designed and optimized to show up in the search results. This will help Google return relevant results and it will help the business reach more people that are looking for those specific services. Another example would be to develop pages based on the different ways that people might search for you. The terms grocery store, supermarket, food market, health food store, organic market, etc. are all completely different things in the eyes of Google. If you don’t tell them that you’re also an organic market and have at least one page on your site devoted to this niche term, then you won’t show up in the search results. I can’t stress enough how important landing pages are. Continually building content and new pages that are specifically targeted to a niche is the core reason why some websites grow and others fail. Setup a Google+ Local account and optimize it for your business location. Consider Bing Local and Yahoo local after that. Get involved with social media. Setup a Facebook page and start connecting. Continually add targeted, niche content and pages to your website so you show up for a wide variety of search terms. TIP: Checkout our infographic for ideas about all the different ways to promote your local business online.